Philippe Gilbert won his second stage of the Vuelta a Espana today with Alberto Contador maintaining the leader’s jersey ahead of the final two days of competition. Gilbert (BMC) powered along the uphill drag in La Lastrilla finishing ahead of Alejandro Valverde (Movistar) and Daniel Moreno (Katusha). The Belgian will be able to take confidence from the result as he continues to prepare for the road world championships later this month, which is a major season objective for the 30-year-old. “This is typical for a finish like this, you have to give everything you have,” Gilbert said. 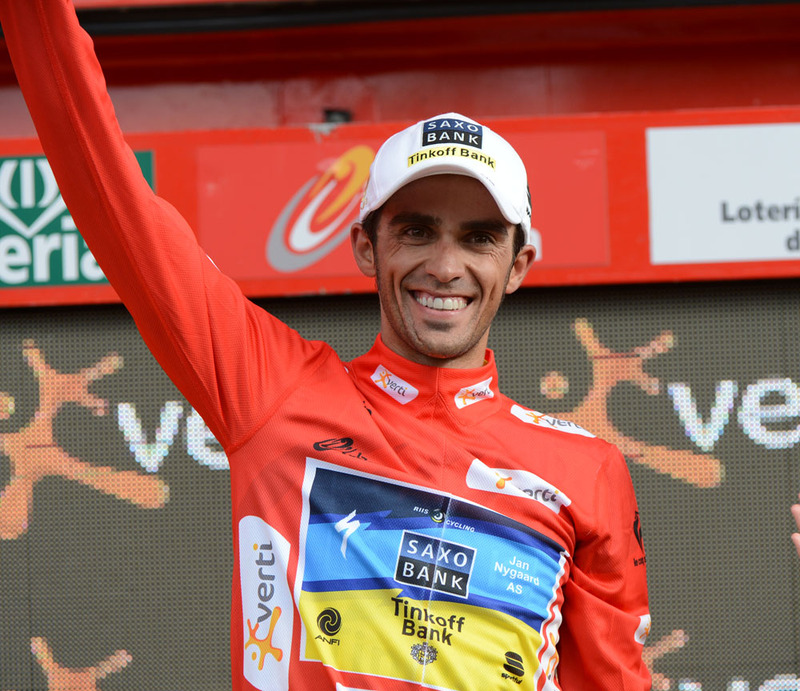 Contador (Saxo Bank-Tinkoff Bank) has a 1 minute and 35 second advantage over Valverde and a 2-21 buffer on Joaquin Rodriguez ahead of tomorrow’s penultimate stage that includes a summit finish. Gilbert’s fast finish came after a slow stage that saw Aitor Galdos Alonso (Caja Rural) and Jose Vicente Toribio Alcolea (Andalucia) comprise the main break of the day. The duo escaped at the beginning of the rolling 178.4km 19th stage from Penafiel but was inevitably caught within the final 30km. There was a flurry of activity with 12km remaining as a small group – including point’s leader Rodriguez (Katusha) – contested an intermediate sprint. The group dissolved back into the peloton before Egoitz Garcia (Cofidis) made a move with 4km remaining. John Degenkolb (Argos-Shimano), who was vying for his fifth stage win, soon followed as did Juan Antonio Flecha (Sky), Nicolas Roche (AG2R) and Matti Breschel (Rabobank). Gilbert’s teammate, former world champion Alessandro Ballan drove at the front of the peloton to bring the quartet back within the final kilometre before Gilbert shot to the front. Sky’s Ben Swift, who finished second in yesterday’s stage, tried to hold Gilbert’s wheel in the run to the line but faded and settled for a top 10.